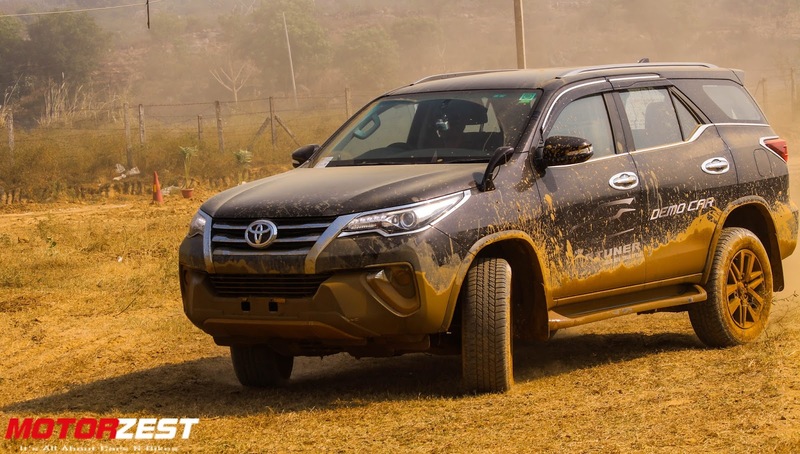 Following the recent launch of their all new Fortuner in an urban avatar, Toyota conducted an event that flaunted the off roading capabilities of the Fortuner. 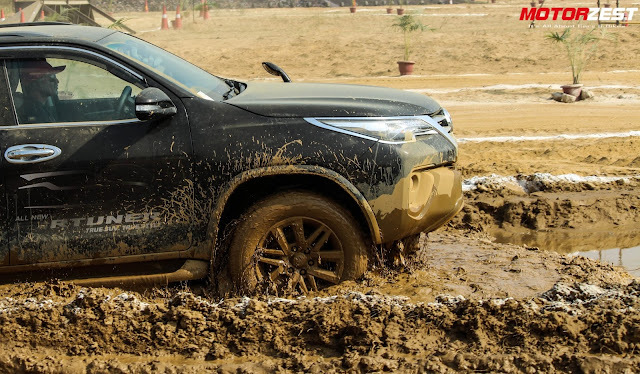 Although Toyota has given it a new refreshed look that brings out the elegant side of the SUV, it has not let go off the tough and rugged DNA. 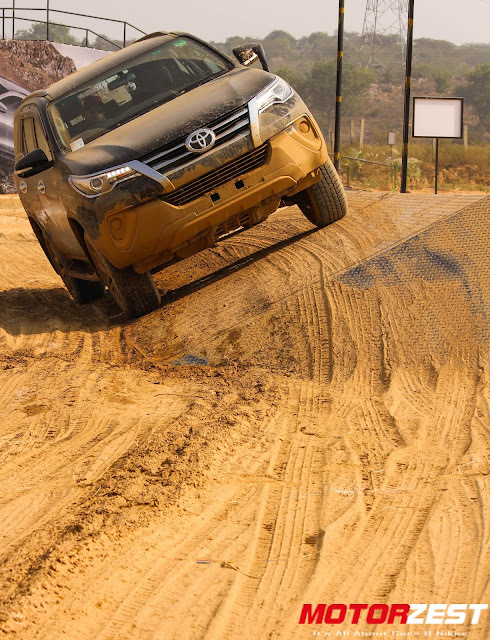 The event was name as 'Offroading Experiment' by Toyota and was organised in Delhi, Mumbai and Bengaluru. We got our chance to drive the car at the Delhi event where the off road track laid out consisted of several obstacles that included a water wading section, a downhill and uphill section, incline section and the most amazing of it all the 'Slush Pit'. 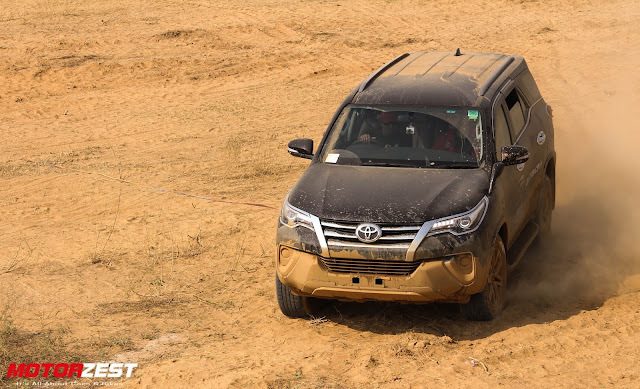 We had a chance to drive the Fortuner through all the terrains and the SUV proved pretty impressive. 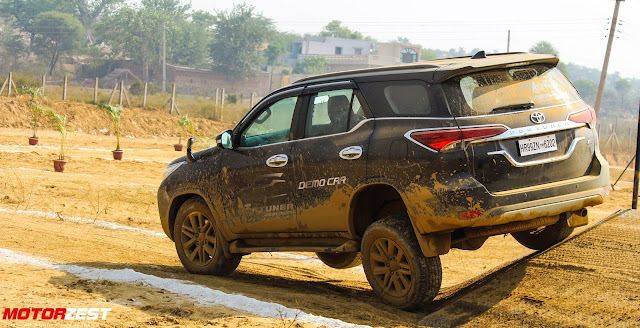 All the new features as the downhill assist, the different riding modes (to change the powertrain settings), introduction of disc brakes at the rear, paddle-shifters, etc all made offroading a piece of cake. The Fortuner certainly gave a feel of confidence while being exposed to such harsh environment. Toyota has also refined the engine even further and although it comes with a 2.8L Diesel engine a smaller unit than its predecessor but the refinement levels and the power is further boosted. 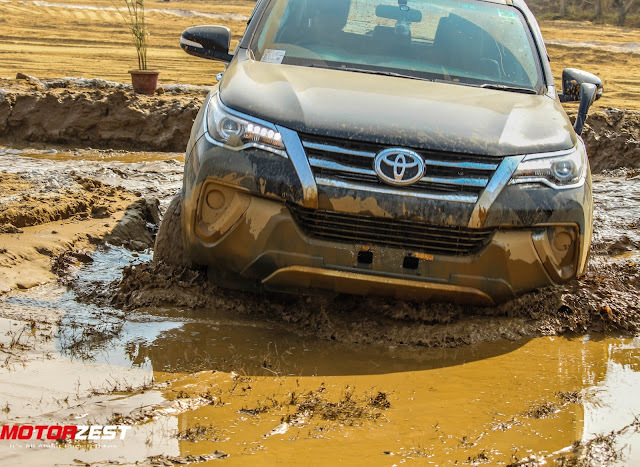 The shear 450Nm of torque helps the car to drive through any terrain without compromising on comfort. 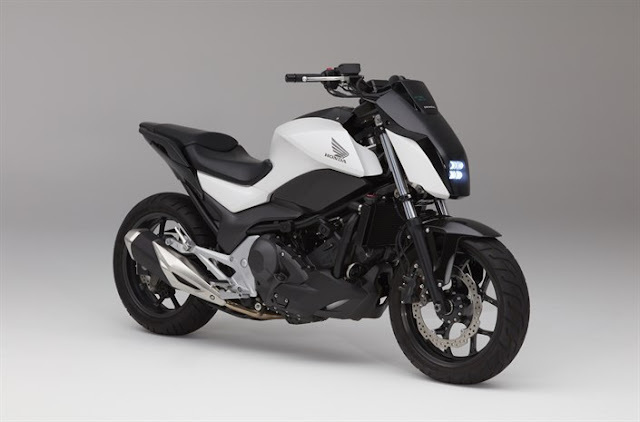 In addition to all these features the car also has a pretty good cabin as well. 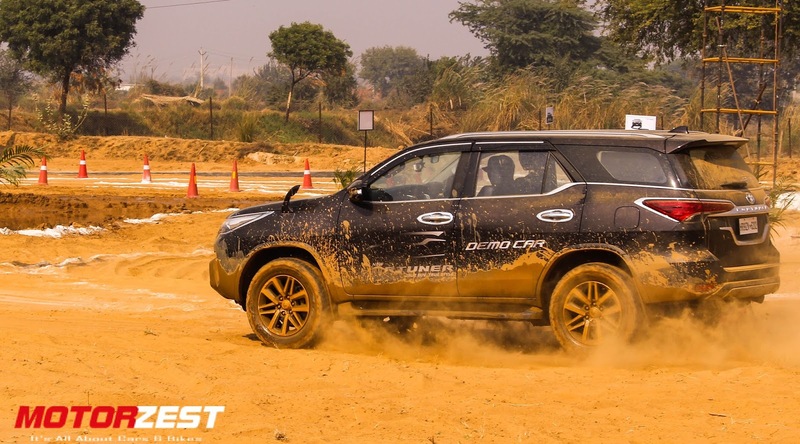 With all black interiors, full touchscreen display with navigation, cooled-glovebox and many more adding to the long feature packed list of the SUV. The new Fortuner is now available at all dealerships across the country and the price ranges between INR 26.04 to 31.2 Lakhs (Ex-Showroom Delhi). 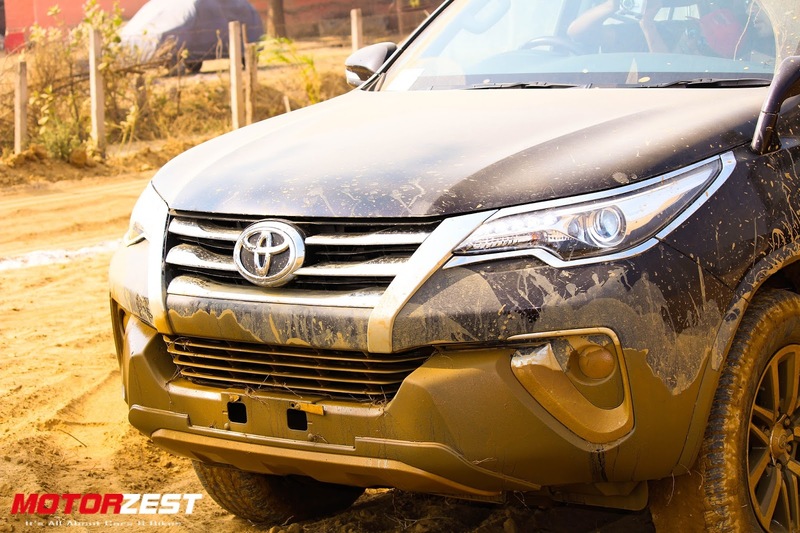 Enjoy some more shots of the Fortuner in its natural environment.